Alan is an associate consultant offering specialist commercial and contractual strategy and risk advice to business, with over 20 years experience in managing the commercial and contractual risks within the UK and International defence and energy sectors. Alan’s most recent role was as Commercial Director heading the Commercial Department for the Government Communications group within Astrium Services in EADS, providing overall Commercial leadership and direction and preserving Commercial Governance across a €1bn pa multi-national communication services organisation. Responsible for the end to end contracting process including tender preparation, risk assessment, contract negotiation, execution, compliance, in addition to all procurement, commercial strategy and UK Export compliance. Reporting at Board level, Alan demonstrates the Communication skills to manage all internal and external stakeholders. Experienced in leading large teams to deliver in competitive markets through an excellent understanding of market structures, competitive behaviour and pricing. Serving as the principal contractual point of contact with Government, commercial, international and domestic customers. 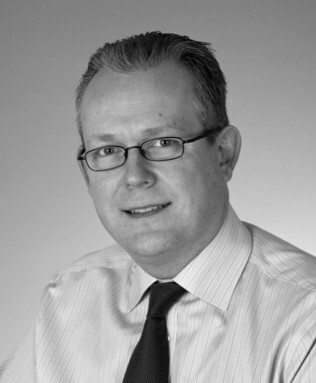 Prior to EADS Astrium, Alan worked within the Energy sector for 15 years, covering various aspects of commercial and project development within the UK and International energy markets to successfully deliver opportunities arising from the privatisation and liberalisation of the global energy markets. Having joined National Power (now RWE nPower) in 1989, Alan held a number of commercial posts, including negotiating Contracts for Differences, before moving into the newly demerged International Power in 2000, where as Project Development Manager, Alan was responsible for project managing acquisition bids for international energy companies and new greenfield power opportunities. Alan has a BA (Hons) from Strathclyde University (Marketing & Economics) and a Diploma in Marketing from the Chartered Institute of Marketing.